Queenstown, in the far south of the south island of New Zealand in the Otago district, lies in the heart of an almost untouched eight million square kilometer wilderness. It is situated at the southern end of the beautiful, 291 square kilometer Lake Wakatipu that was gouged out by glaciers during the last ice age and is fed by the Kawarau and Shotover Rivers. 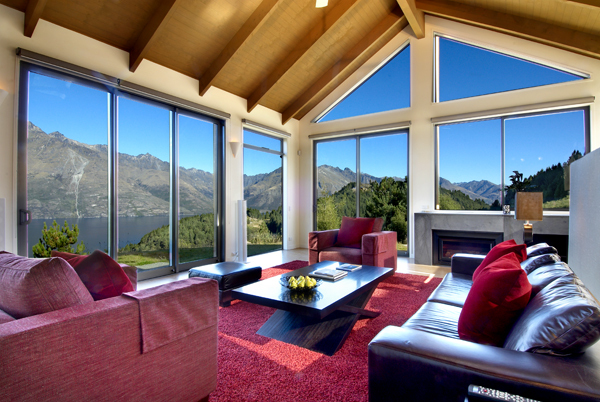 Lying at latitude of 45° south, with scarcely any large cities or polluting industry for thousands of miles in any direction right around the globe, and only the continent of Antarctica to the south, Queenstown has some of the most pure air in the world. The European settlement of the Otago area has a fairly recent history that came about after the discovery of gold in the 1860s. Of course though, there have also been various native New Zealand inhabitants with the Waitaha, Moriori and Maori peoples all living in the region throughout history. 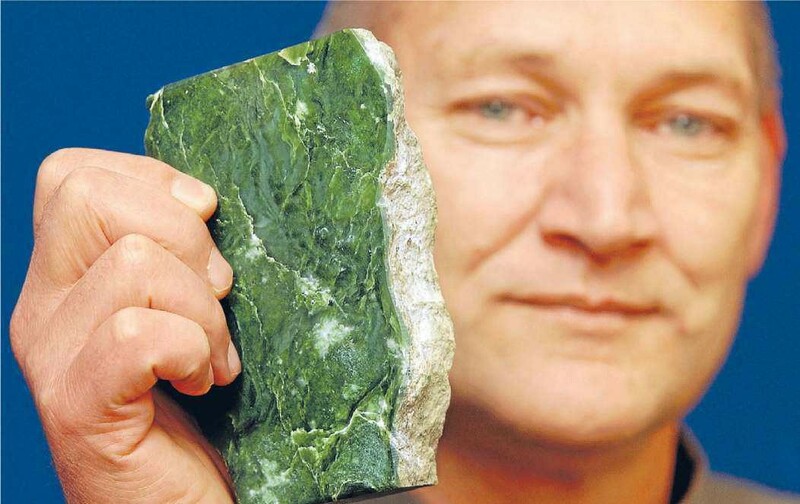 The Maori were particularly familiar with the Otago region as they often went there in search of Pounamu, or greenstone which is an extremely hard type of jade that they have long used with incredible skill to carving jewellery and other items. The gold rushes brought waves of prospectors into the area and many stayed on after the gold ran out. They established the farms that sustained the area up until the tourist industry took over in the late 20th century. 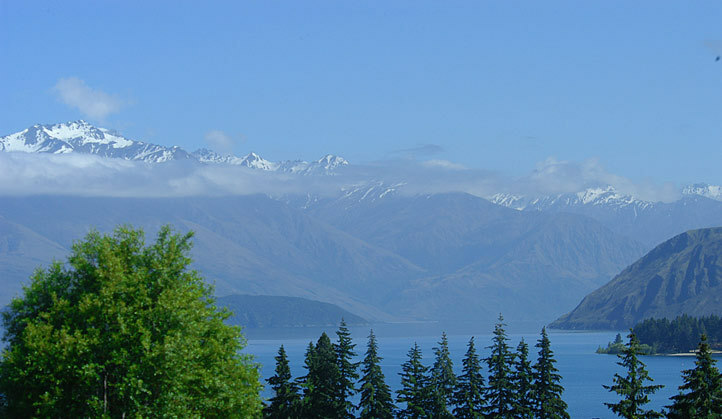 Queenstown and the surrounding areas are world famous not only for their alpine beauty that includes the nearby southern fiords, but also for some of the best skiing in the southern hemisphere. 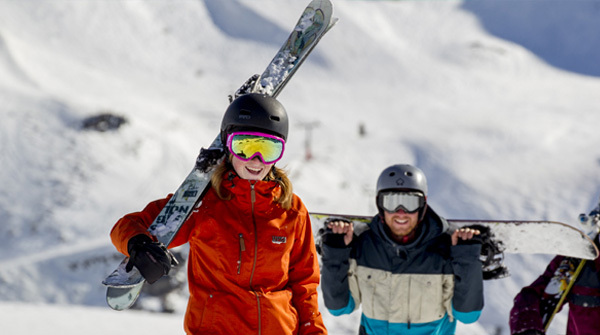 When you stay at Queenstown or Wanaka you have right at your doorstep four of the south island’s best ski fields: Cardrona, Coronet Peak, The Remarkables, and Treble Cone. If you want to ski right off the beaten track there are several companies only too happy to take you in a helicopter high up into the mountains to drop you off onto an untouched, deep snow run that you can have all to yourself. 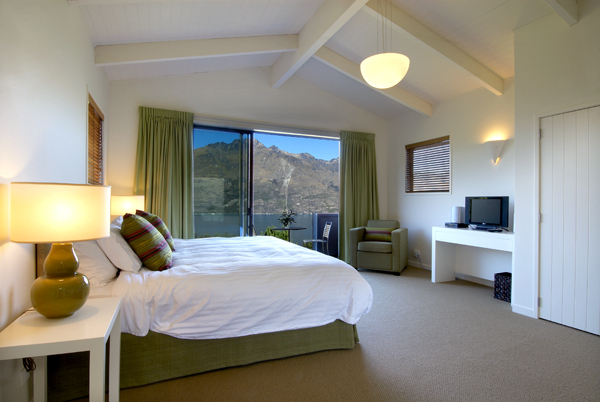 Queenstown also has a well-deserved reputation as the adventure sports capital of the southern hemisphere with a huge range of activities sure to get your adrenaline pumping hard: bungee jumping, skydiving, caving, rock and glacier climbing, white water rafting, zip lining and jet boating to name just a few. 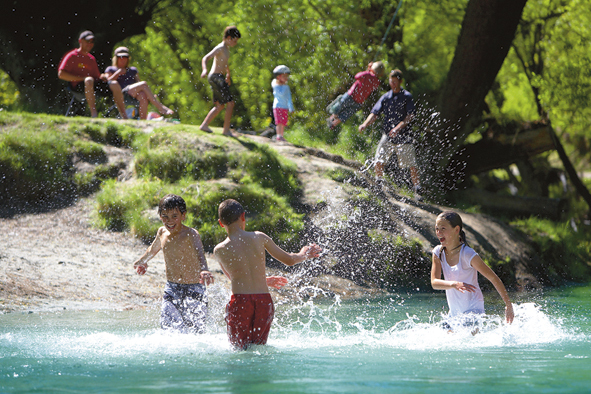 There are also more sedate activities to immerse yourself in such as finding out about the fascinating Maori culture, nature tours that will take you right in among unique New Zealand flora and fauna, and a huge number of heritage buildings to discover in Queenstown and nearby Arrowtown. There is also the beautiful lakeside Queenstown Botanic Gardens where you can try your skill in at the less extreme, but uniquely New Zealand sport Frisbee Golf. 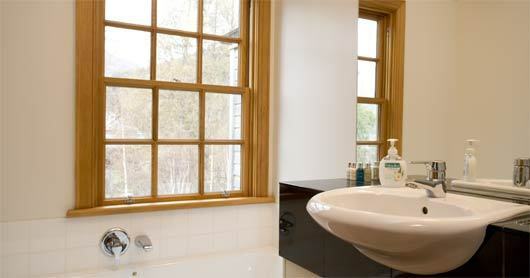 From the outside the rather plain weatherboard exterior of this Queenstown villa belies the beauty within. 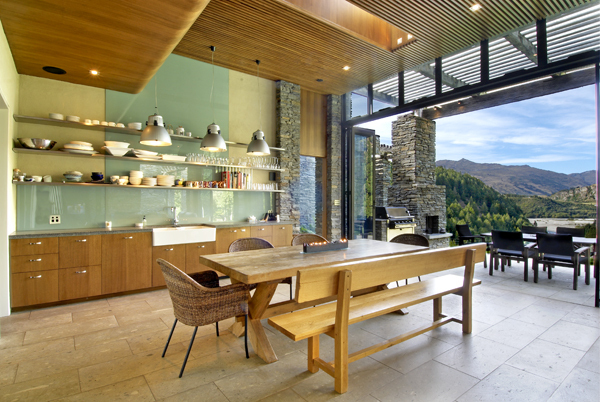 Close to the Coronet Peak and Remarkables ski fields and only a short drive from historic Arrowtown, Villa 622 is a country lodge reflecting a touch of the ‘Wild West’ with it’s rough cedar cladding and location nestled at the bottom of a spectacular mountain. 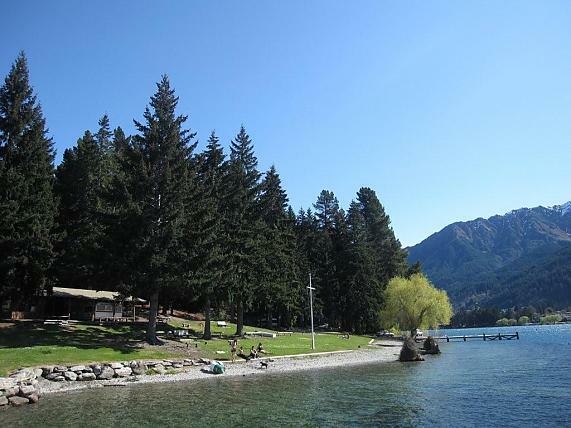 It is set in private grounds with breathtaking mountain views in every direction. 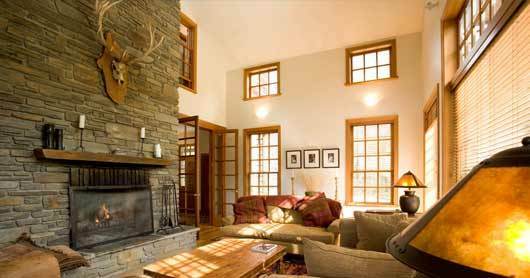 Step through the doors from the terrace into the living area with double-height ceilings and the first thing that you see is the massive stone fireplace and the nest of inviting sofas and chairs. 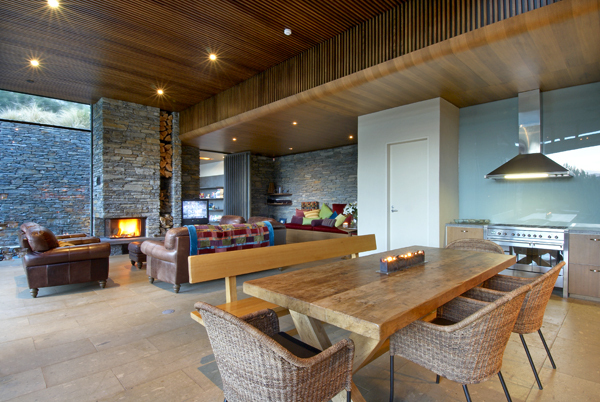 The living area flows around to the rustic meals area alongside the open plan kitchen, or the glass doors can be closed to create a restful area for you to sink back onto the sofas and enjoy the glow from the fireplace after a long day on the piste while a private chef puts together an amazing gourmet meal for you to enjoy. 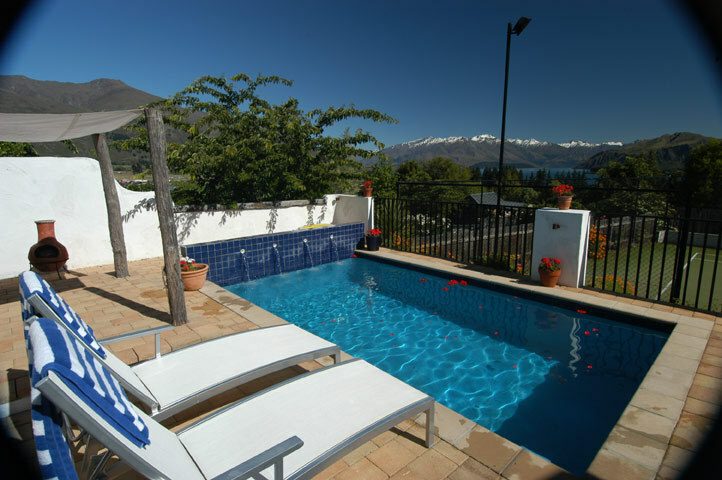 This is the perfect villa for the extended family, or perhaps two families to come together to enjoy all the winter activities that Queenstown has to offer at it can comfortably accommodate 11 guests in the five bedrooms and five bathrooms. Upstairs there are four large bedrooms with queen size beds – two master suites with luxury ensuites and the two other bedrooms share a bathroom. Downstairs you will find a bunk-room that is a perfect breakout area for the older kids in the party. 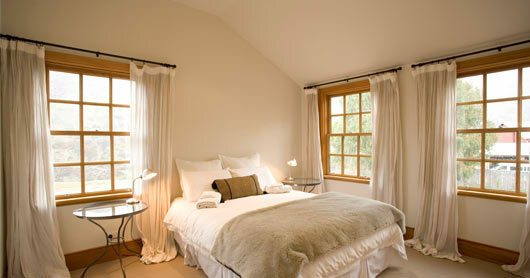 All the bedrooms have possum blankets on the beds to keep you toasty warm through the cold winter nights. Possums were brought to New Zealand from Australia in the 19th century. As New Zealand has no large native predator species to keep the population in check, they quickly bred to plague proportions and have done serious environmental damage to the delicate New Zealand forest systems. Possum numbers are now strictly controlled and good use is made of the fibre that combines the best qualities of all natural fibres being warm, soft and light, so making it one of the most luxurious natural fibres. Look out while you’re out and about shopping in Queenstown as you’ll find shops carrying beautiful garments made from this amazing fibre. In the morning, after breakfast on the sun filled terrace, enjoy the in-house massage you booked the day before. 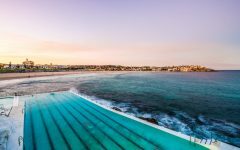 Then you’re all ready for another day skiing or maybe going on a bushwalk – known as tramping in New Zealand – or heading into town for the day. 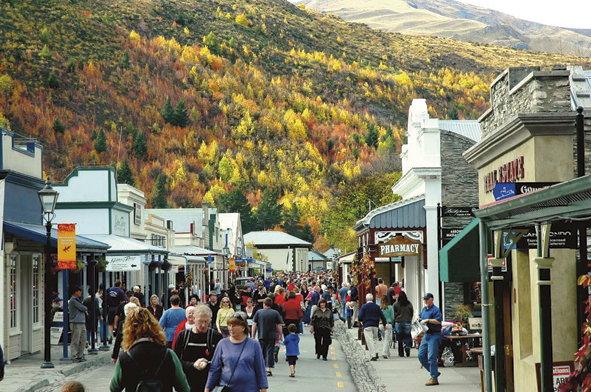 The wild-west, frontier flavour of the Otago continues in nearby Arrowtown that was established in the late 19th century after yet another gold strike. The gold rush quickly played itself out, and the town settled down to become a service hub for the farms that sprang up in the surrounding area. Today it is one of New Zealand’s most visited towns in one of the country’s most visited areas. 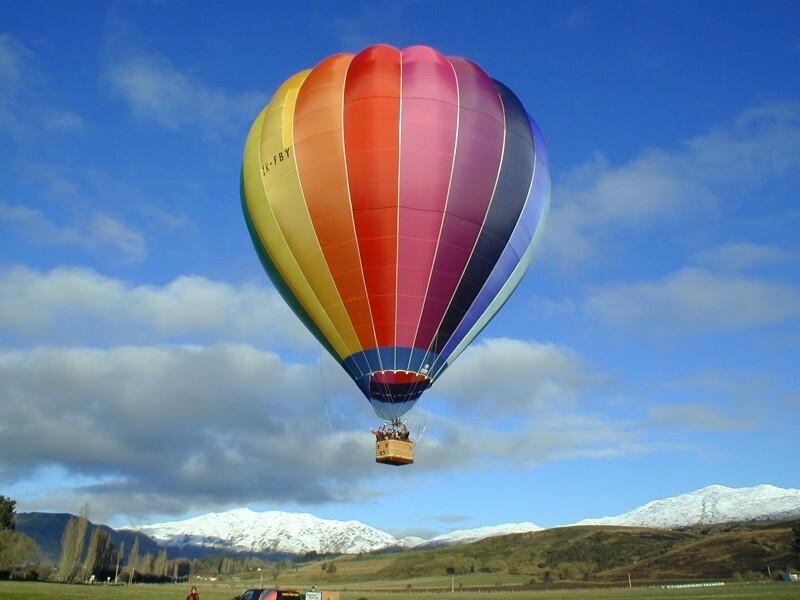 It has no shortage of attractions and activities such as cross country skiing, hot air ballooning. 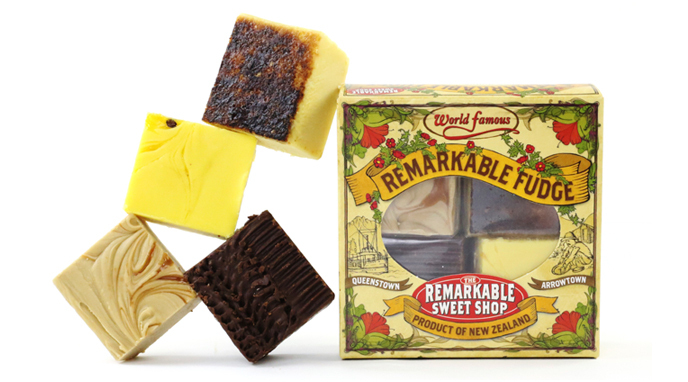 Or maybe could pay a visit to the cinema or any one of the galleries, bars and specialty shops such as The Remarkable Sweet Shop to keep you occupied there for a whole day or more. 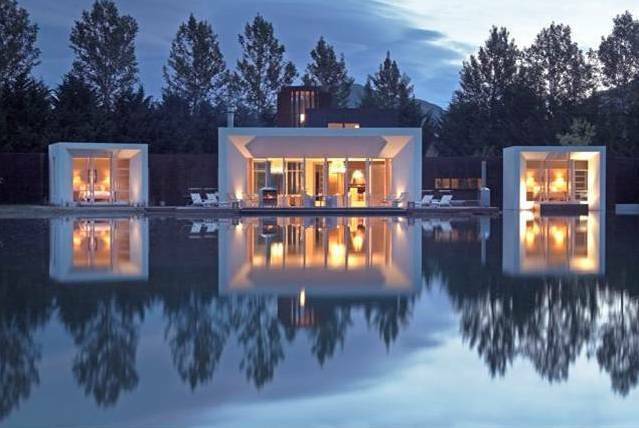 From the minute you lay eyes on this Villa, it wows with some serious visual impact! 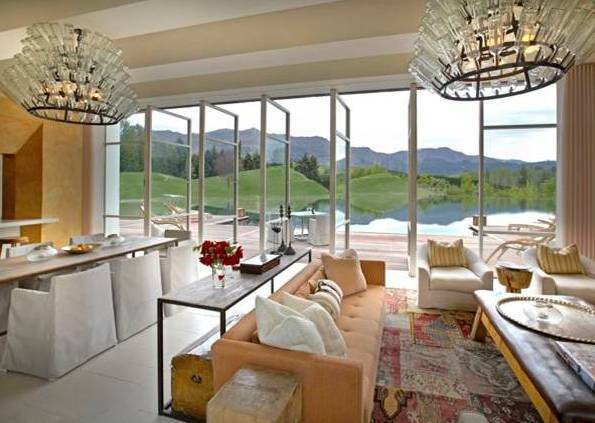 The architectural design has you looking right through the house to the mountains and lake beyond that gives this villa a magical feeling of seclusion and space at the same time. 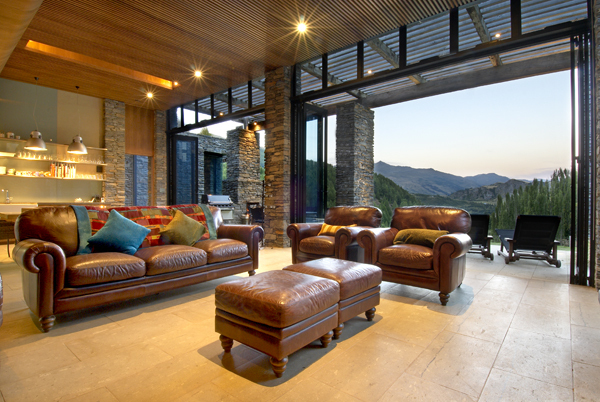 Inside the two living areas, both of which combine double height windows and soaring ceilings, merge with the spectacular views that make you feel as though you are flying over the peaks. 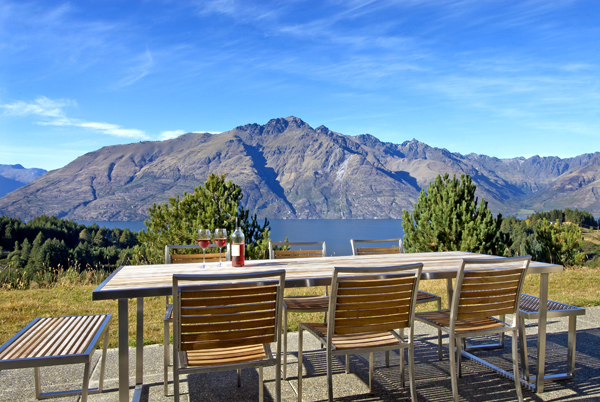 On those crystal clear winter days that this area is famous for why not take your meals outside at breakfast and lunchtime to soak up the winter sun and the bracing fresh air with the mountains providing the backdrop. Back inside there is a sleek, spacious, modern galley kitchen with warm timber cabinets topped with white bench tops and fitted out with the latest appliances to make meal-times an utter breeze. To one side of the kitchen there is a spacious formal dining area complete with a table big enough to seat 10 in style and comfort. 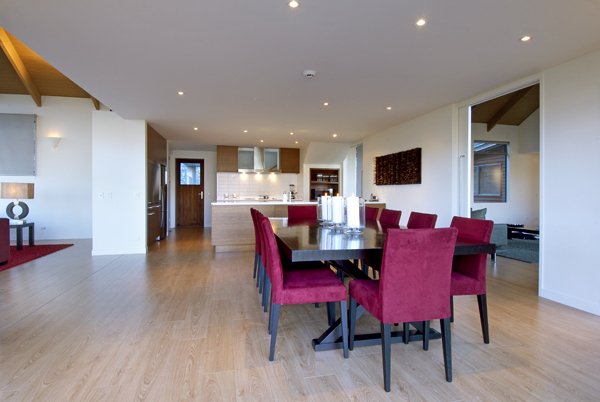 Even though the living area of the villa is open plan design with lots of space, high ceilings and glass you won’t be sacrificing comfort as there is underfloor heating and a gas fire. Continuing through the villa you will find four bedrooms and three bathrooms all with spectacular views, and all beautifully decorated. The elegant main bedroom suite is decorated in a stylish, understated pallet of whites, neutrals and olive green to rest the eye and echo the spectacular vista out the window. Queenstown is world famous for its skiing, but there is no end of other outdoor activities to try your hand at other than skiing and snowboarding. You could take a trip out onto Lake Wakatipu to see the views of the town, lake and surrounding mountains from a different perspective. While cruising up and down the lake you can try your hand at fishing for Chinook salmon and trout. If boats are not your thing but you still want to go fishing, why not book yourself in to learn the finer points of the ‘gentleman’s pursuit’ of fly fishing for trout off the banks of the either the Shotover or Kawarau Rivers. If skiing or snowboarding is a little too exciting for you, why not consider signing up to explore the mountains on a snowshoe adventure. The modern, lightweight snowshoes will have you gliding over snowdrifts up the mountain sides into areas otherwise only accessible on ski. 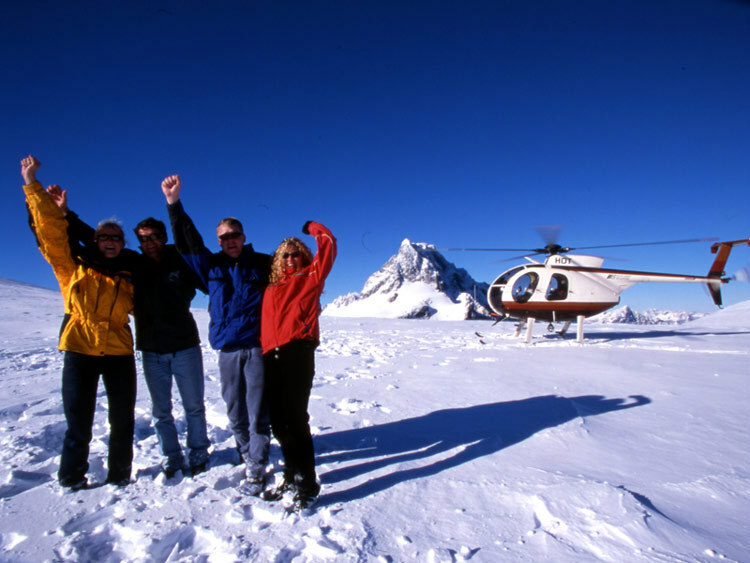 This option makes sure that the non-skiers in your party to get a chance to enjoy the staggering beauty of being high in the New Zealand alps. 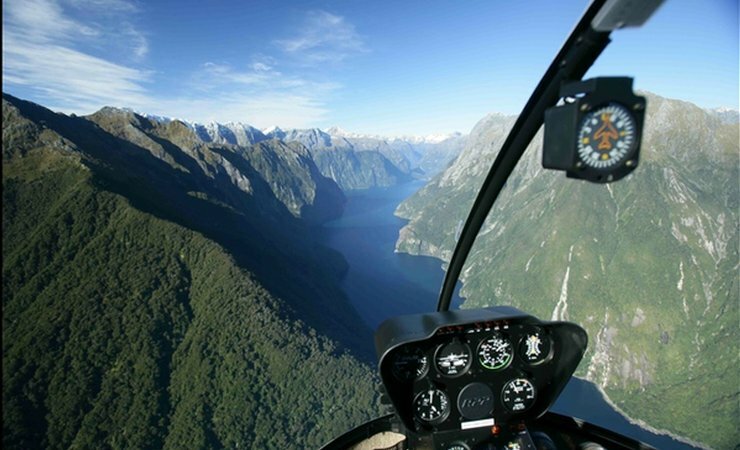 On days when you want some time out from all those high-octane outdoor activities Queenstown has no shortages of other options. One great idea is to book in for a half-day sightseeing tour. Seated in a comfortable minibus you will be taken around some of the major attractions in the area such as Lake Hayes and Arrowtown with stops in scenic locations for morning tea and lunch. 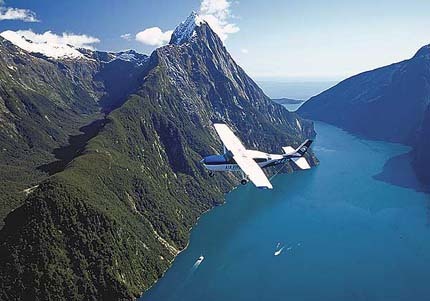 Or, for a truly spectacular New Zealand experience book in for a scenic flight out to nearby Milford Sound. 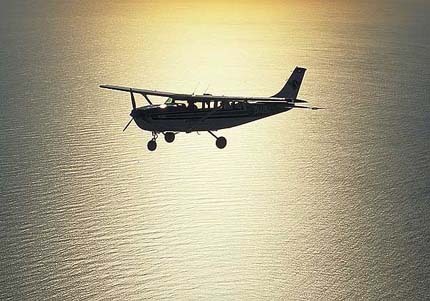 The flight will take you past majestic snow-capped peaks and glaciers and on to Milford Sound in fiordland where the views will have you marvelling at the raw beauty of this unique area. This striking villa seems to rise up from the earth that surrounds it. By virtue of and it’s imposing facade it is reminiscent of the ‘Earthship’, or ‘biotecture’ style of house so popular in New Mexico in the USA. 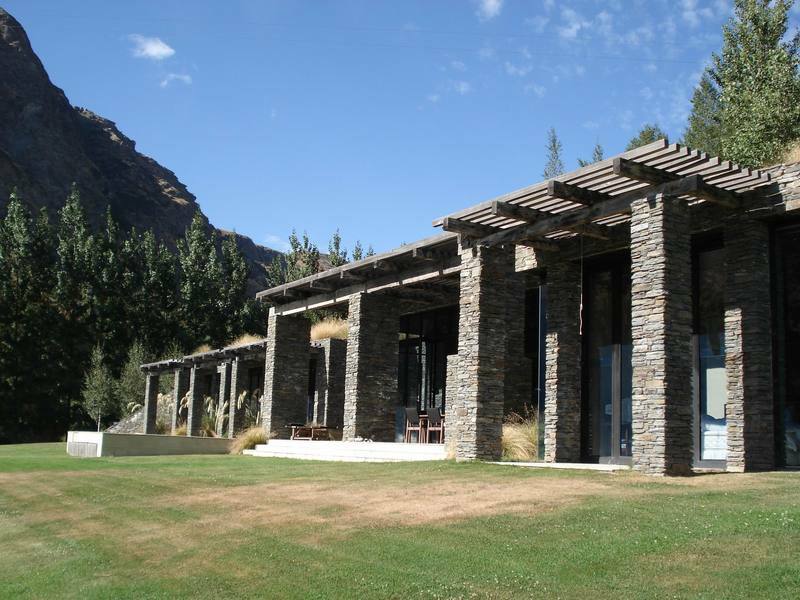 The villa nestles back into the hillside and makes use of the local stone for the pergola pillars and front wall. 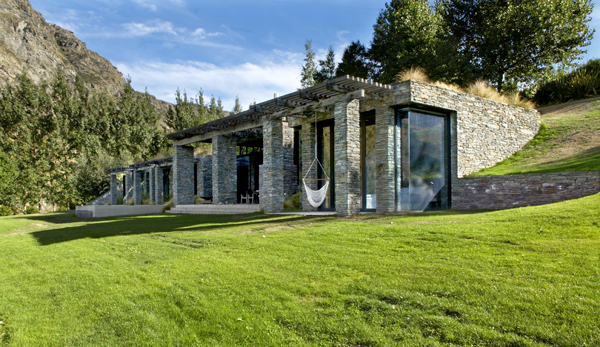 The use of stone when combined with the sod roof, and you could be excused for thinking you are in Norway not the south island of New Zealand. The front terrace of the villa has the most sublime view framed by pine trees on either side, leading the eye down the river valley to the mountains beyond. To one side of the main pavilion there is pool and heated spa set into a niche between wings of the building. Back indoors you are taken into a another dimension of architectural beauty with double height ceilings in the living area and bi-fold doors that open out onto the terrace. 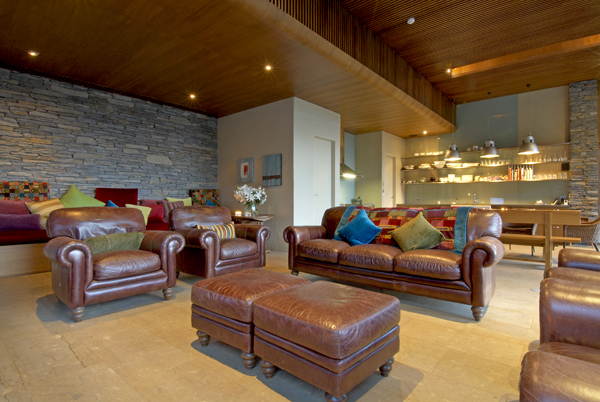 The décor is a modern twist on ‘cosy traditional’ with several roll-arm leather chairs, sofas and ottomans upholstered in deep rich colours that face the recessed open fireplace and wood store. 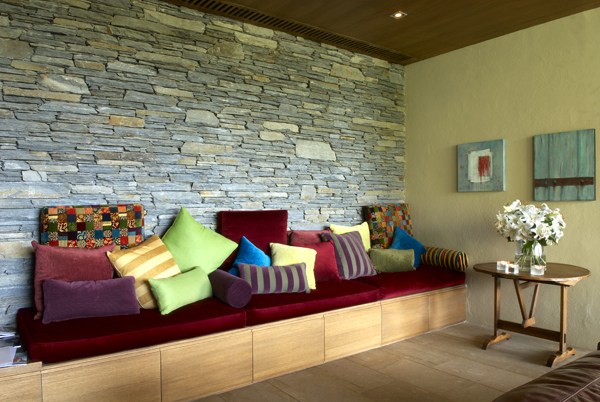 Right behind the chairs is a plush red velvet banquet along another stone wall complete with lots of cushions and bolsters for your comfort. 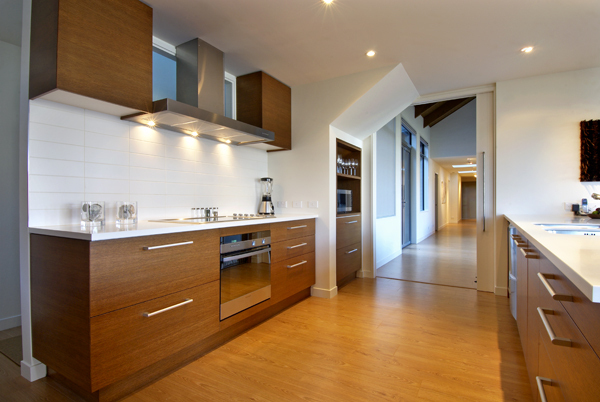 The L-shaped kitchen takes a decidedly modern turn with high-spec stainless steel appliances and sleek timber cabinets. The villa’s four bedrooms sleep six and there is a separate bunkroom that provides a funky break-out area for the children or the young-at-heart in your group. 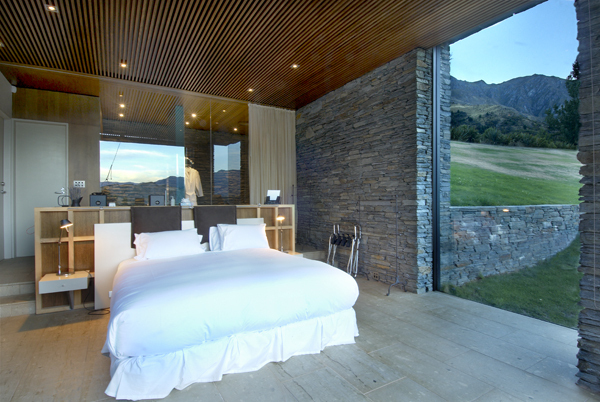 The impossibly beautiful master bedroom is breathtaking with its high ceilings and the stunning floor to ceiling window that takes your gaze out over the lawn to the mountains beyond. 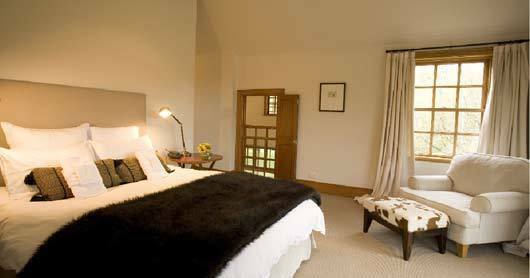 The other bedrooms are somewhat smaller, but are still comfortable and cosy with French doors that open out onto a terrace and gardens planted with New Zealand native plants. 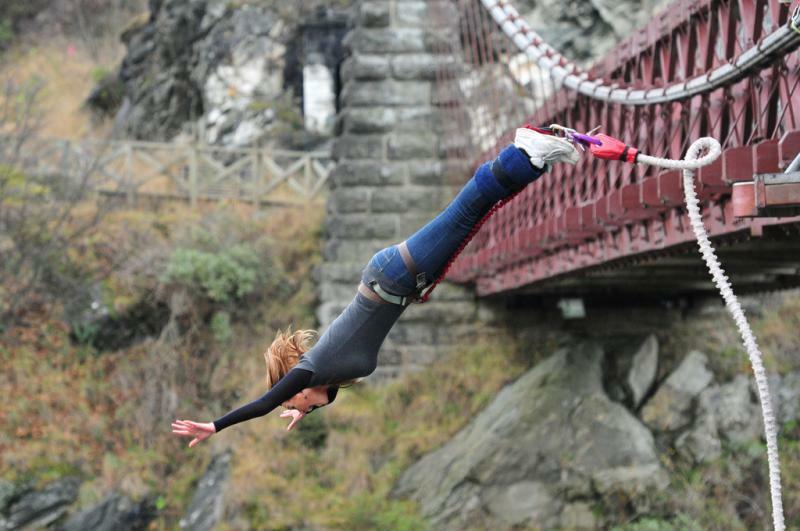 One of the most iconic, and some would say hair-raising, things you can do while in Queenstown is bungee jumping. You will need nerves of steel to stand on a high structure such as a bridge or specially built tower with your ankles tethered by a strong elastic rope and literally dive off into the wild blue yonder! It has relatively recent origins with the first recorded jumps being made in 1979 in the United Kingdom. 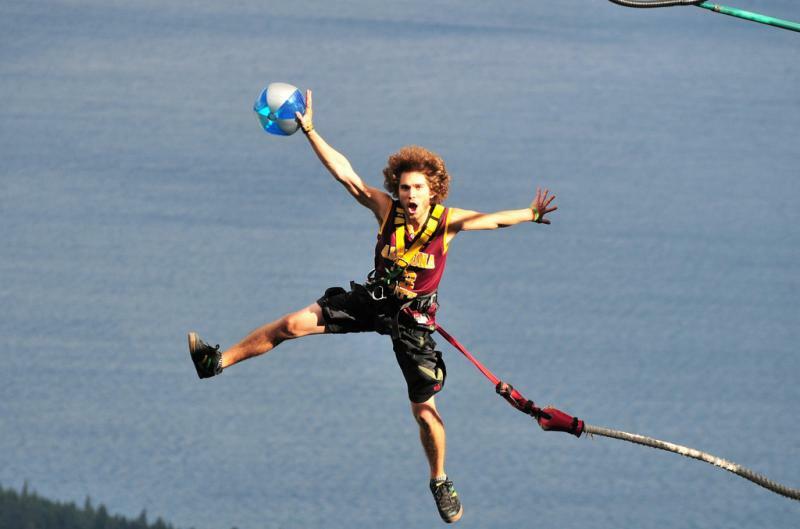 The Kiwis (as the New Zealanders of European descent are fondly known) were quick off the mark, and by 1986 were offering organised commercial bungee jumping in Auckland. 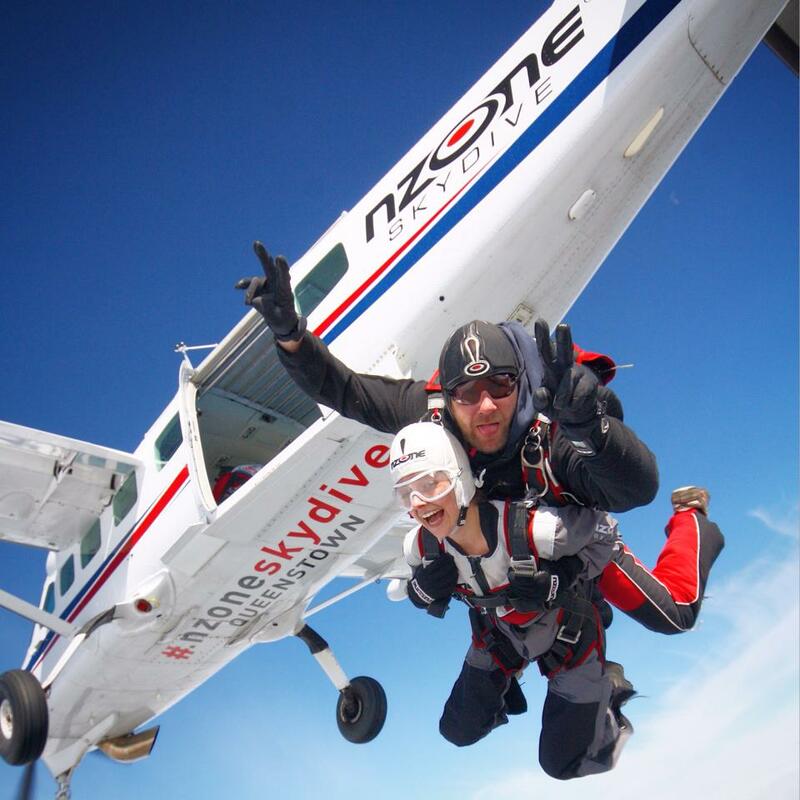 The practice quickly spread south and today there are a number of vantage points in Queenstown to have your bungee experience including The Ledge high on the mountainside overlooking the town where you can choose from a day or night jump, or from a bridge spanning the Karawau River. To recover from all the excitement of bungee jumping, a day spent exploring the culture of the most recent indigenous people of New Zealand – the Maori – is utterly fascinating and utterly unlike any other cultural experience anywhere else in the world. The Maori were fearsome warriors who go down in history as the only indigenous people who forced the English in 1840 to sign a peace treaty – The Treaty of Waitaingi. There is, however, a flip side to their warrior culture and the Maori have a long history of art, and music. It is a must when visiting New Zealand to go to attend one of the cultural centres where you will be enchanted by the Maori culture and customs including singing and dancing and being able to experience the Haka up close. Queenstown in particular, and the south island in general, has a vibrant artist community that takes great pride in coming together on Saturday mornings at the Arts and crafts market in the beautiful Earnslaw Park on the lake front. Here you will be entertained by live music while having the opportunity to browse the stalls displaying many different crafts and arts for sale such as painting, stone art, fabric painting, sculpture, soaps and balms, pottery and hand-made jewellery. This is uncompromising, contemporary architecture at it’s best and was designed by one of New Zealand’s leading architects. The property, complete with it’s own vineyard and orchard, sits on five private acres that combines unrestricted views with privacy. The building itself is designed as a series of pavilions with the expansive living areas opening out with floor-to-ceiling pivoting panels that lead you out onto the deck. The deck in turn, fronts a man-made lake with an infinity edge that provides endless reflections of the stunning scenery. 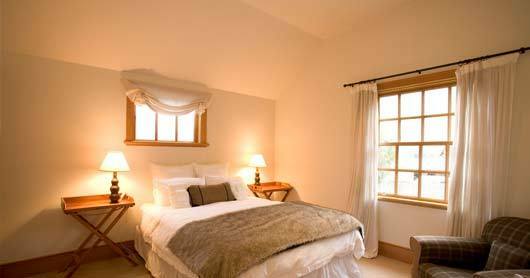 The villa sleeps eight in four king size bedrooms that are all en-suite. 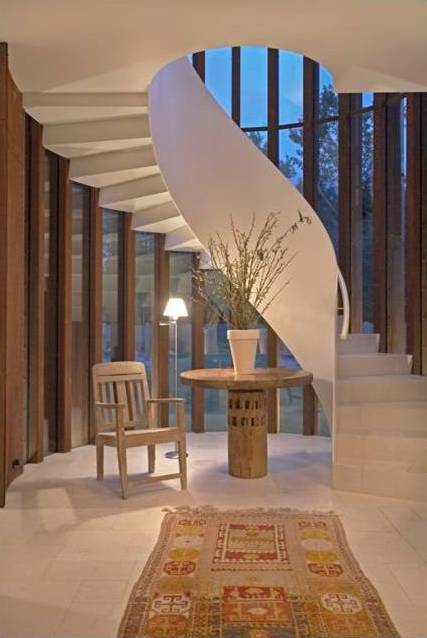 At the back of the living area there is a sweeping staircase that takes you up to the self-contained apartment on the second level, just perfect for the extended family, or perhaps a nanny. The interior design has been carefully considered and the decor is in subtle, calming whites and sophisticated neutrals so as not to fight with the magnificent serenity of the views outside the window. 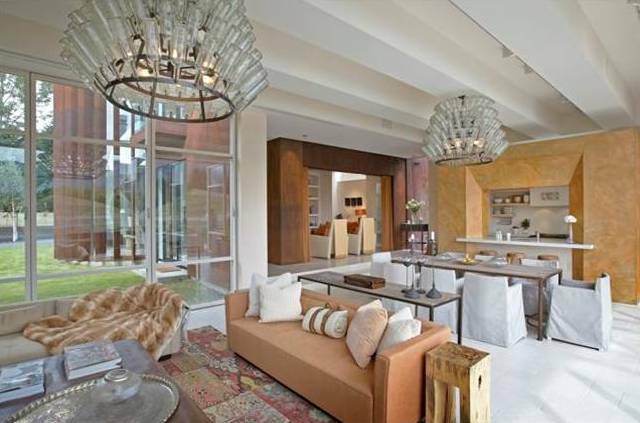 The bottle chandeliers in the living and dining areas provide a fun, quirky touch to this otherwise retrained scheme. 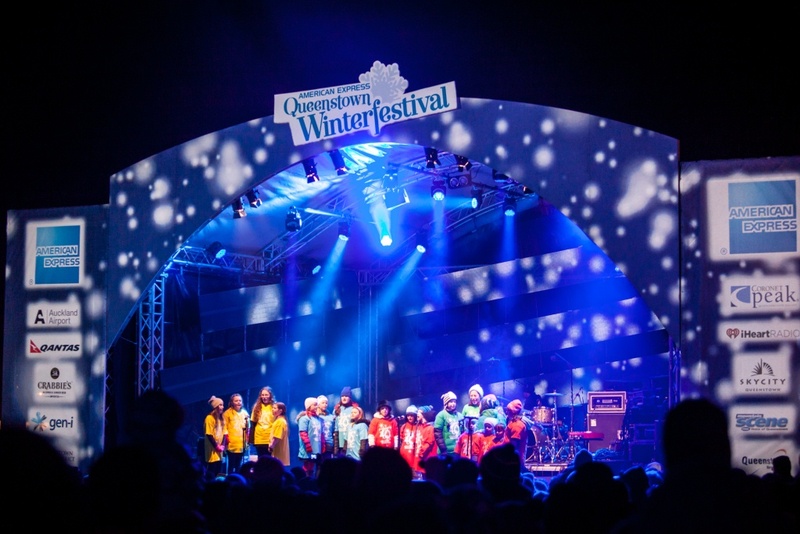 One of the best things that Queenstown has to offer, other than the skiing and endless outdoor activities, is the Queenstown Winter Festival which is being held in 2015 from 19th to 28th June. From the opening night fireworks in Earnslaw Park the ten days of the festival has so much going on that you will barely have time to sleep: music, comedy, mountain biking on the snow, street parades, quiz nights, ice skating, food and more – there really is something for everyone at this amazing festival. After long days taking in all the amazing adventure activities that this incredible area has to offer, you will surely be in need of some serious pampering and Queenstown doesn’t disappoint in this department. There are a number of day spas where you can book in for a relaxing massage, have your action-sport stressed hair and nails repaired or just enjoy a rejuvenating facial. To stretch out all those kinked muscles and sore bits after all your skiing and snowboarding ‘adventures’ a soothing yoga class and meditation session could be just the thing. During peak ski season Queenstown can very busy as a multitude of local and international tourists descend to take advantage of the great snow and abundant activities. Just 120km north east of Queenstown on the southern tip of Lake Wanaka with equally spectacular Lake Hawea nearby you will find the charming town of Wanaka. The area where the town sits was first surveyed in 1863, and the earliest European to see the area was the same Nathaniel Chalmers who also first described the Queenstown area. 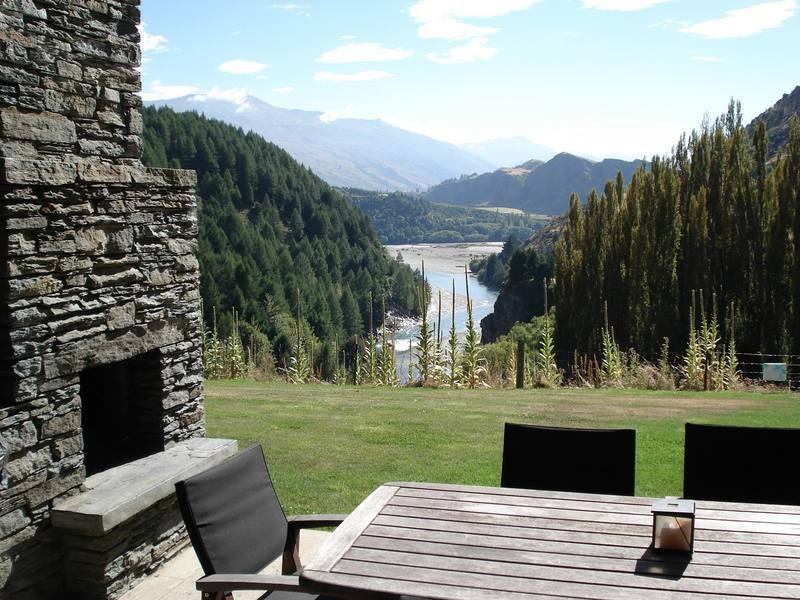 Villa 631 is just ten minutes outside town and is only a twenty-minute drive away from two excellent ski fields including the notable Mt Aspiring that stands at a towering 3033 meters. Villa 631 differs from the other villas with its architecture and design taking inspiration from the grand adobe style homes that are so popular in the southwest of the USA. 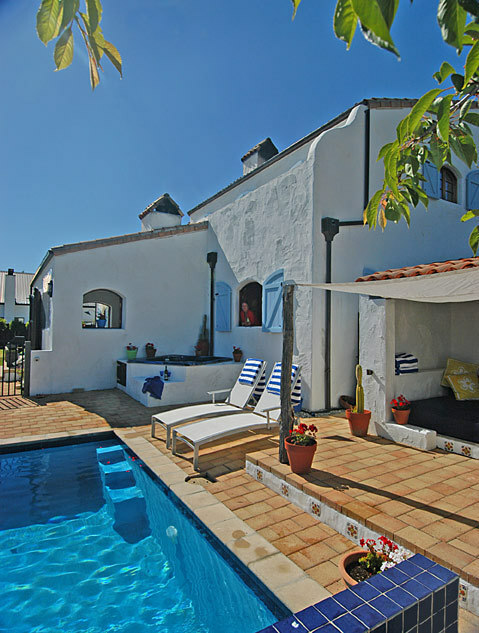 It features thick, white-rendered walls inside and out and has the classic adobe roof-line topped with terracotta tiles. The property has vineyards sweeping down to the lake, and yet more majestic mountains forming the backdrop to the spectacular view. In front of the house is a full size tennis court, and around the back in a private courtyard and suntrap you will find the sparkling swimming pool. 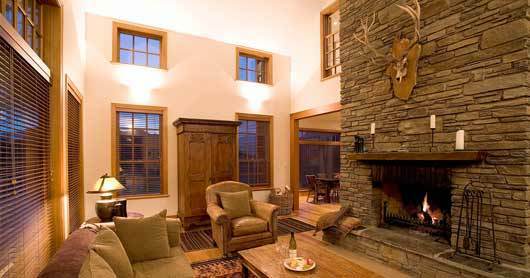 In the living area there is a massive open fireplace that is the focus of the adobe style living area. The décor is mostly in white-on-white and neutrals that are accented with a beautiful, enormous oriental rug in front of the fireplace. All these elements combine to result in a spacious but cosy atmosphere for you to enjoy après ski. The four white light-filled bedrooms continue the southwest theme and most of the bedroom windows feature romantic, custom-made interior shutters on the windows. 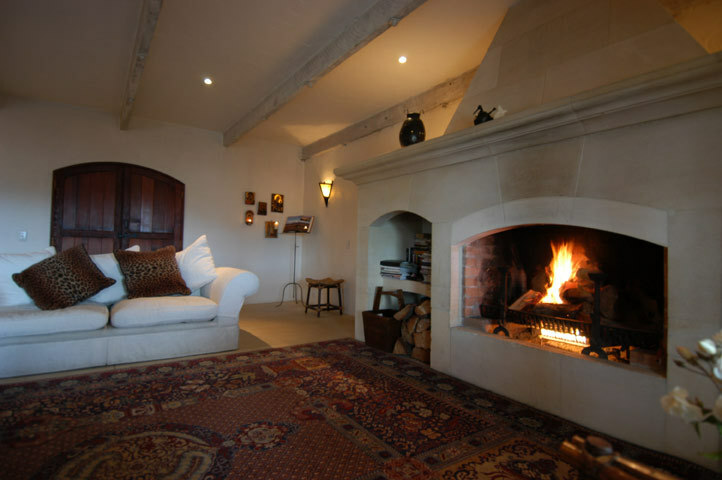 There is a spacious bunkroom with it’s own fireplace that provides an extra sleeping and living area. There is no shortage of water sport opportunities in Wanaka. 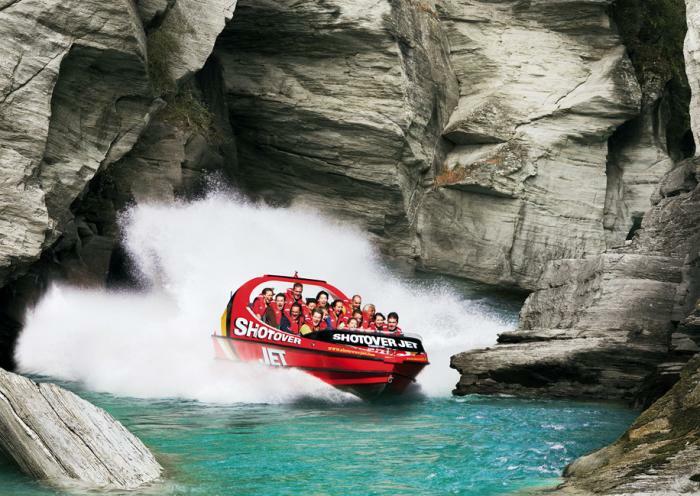 Having said that a winter visit to take advantage of snow skiing is probably not the best time to be out on the lake water skiing, wake-boarding and sailing, but you could try out one of the most famous New Zealand adventure activities and book in for a high-speed, never to be forgotten adrenaline rush Jetboat ride on the Shotover River. 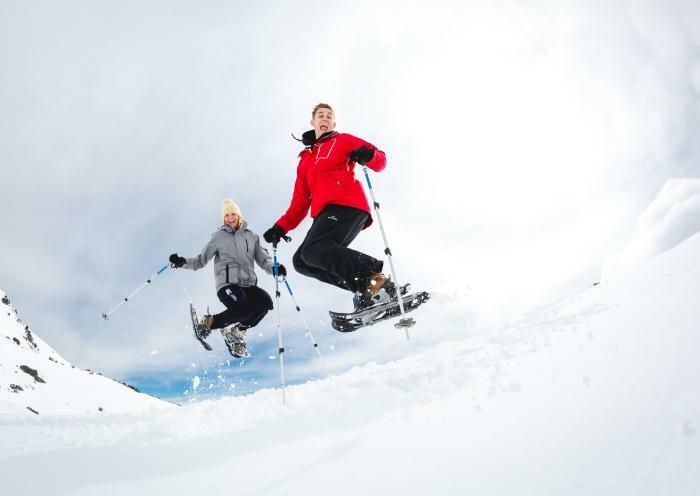 However, if skiing is what you’ve come to do you won’t be disappointed if you choose to stay in the Wanaka area. 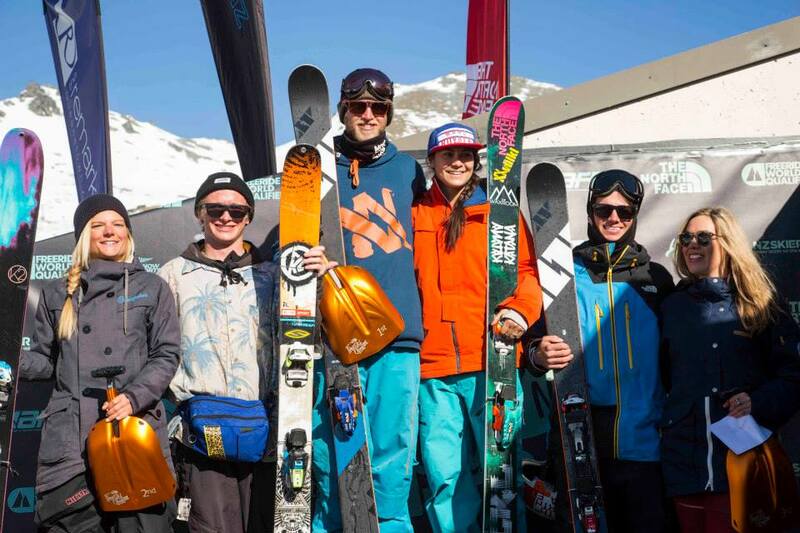 This area hosts the NZ Freeski Open – keep checking the website as the 2015 dates are just about to be announced − and offers great skiing with some of the country’s best ski fields nearby including Treble Cone and the Cardrona Alpine Resort. 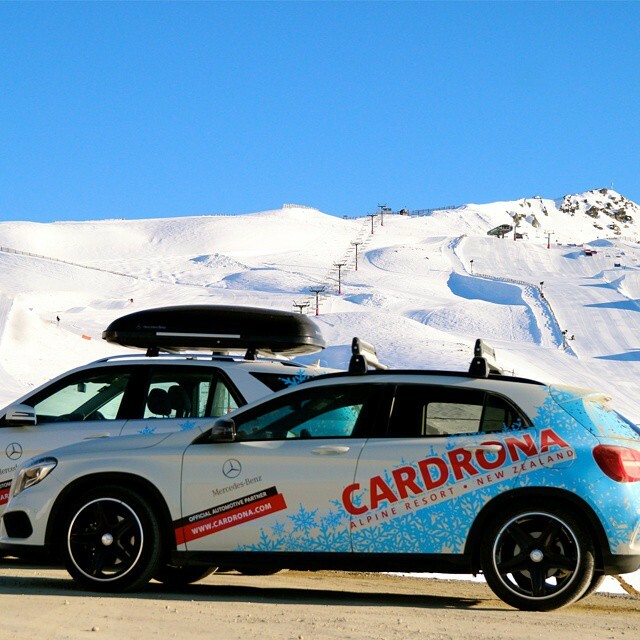 There is a full Olympic-size half pipe at Cardrona for the skier ready to go to the next level and experience a real adrenaline rush by trying free-style skiing. 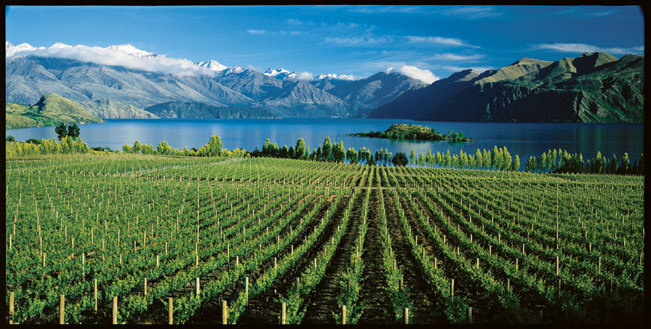 A relatively new industry in Otago region is wine growing. This region boasts the title of being is the worlds most southerly wine-growing area with main grape variety grown is here being pinot noir. This grape is used to produce some of the finest wines in the world. 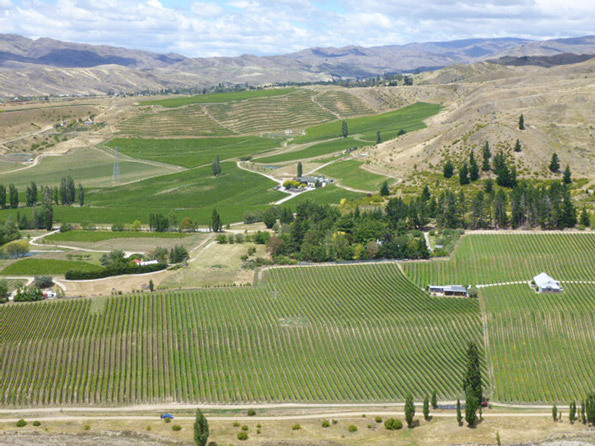 In recent years internationally famous actor Sam Neil, who hails originally from New Zealand, has bought a vineyard in the Otago – Two Paddocks. 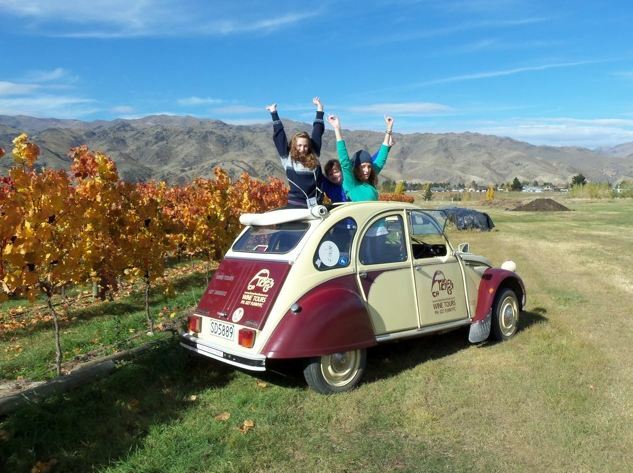 There are several wine tours on offer, but for the best fun day you can’t go past the quirky charm of Funny French Cars. Where else do you get the opportunity putter around visiting vineyards and taking in the magnificent scenery in a vintage Citroen 2cv? Book in and head down to what the Maori call Aotearoa, or the “Land of the Long White Cloud” for a winter holiday experience you won’t be forgetting in a hurry.